Happy New Sewing Year everyone! I hope everyone has had a wonderful festive season - I'm writing this one from my bed rather than the sewing station. 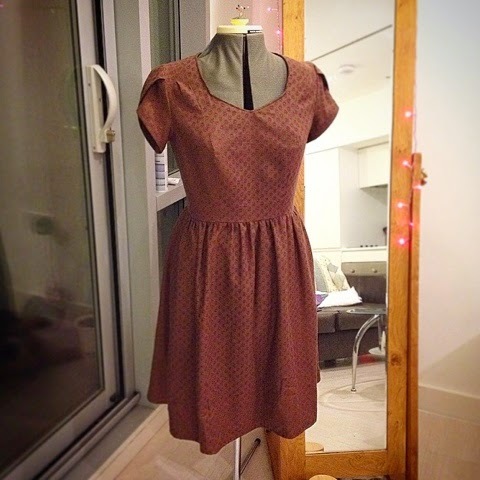 It's been just under a year since I started channeling my crafting and general need to be creative into it's best possible use - dressmaking! 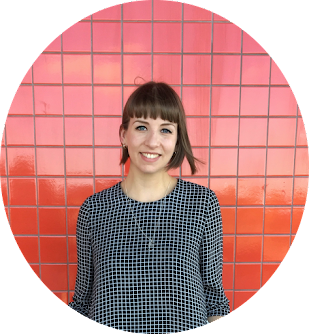 Making a serious commitment to sewing and starting up this blog was probably my best decision of 2014, so I thought I would do a bit of a round up of some of my favourite sews from the past year. 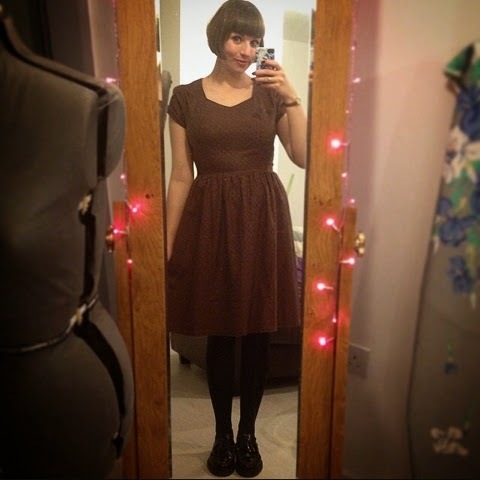 My first Megan dress from Tilly Walne's Love at First Stitch is BY FAR my most worn me-made garment. Anyone who has read my blog will know how much I love Tilly's first book, and I encourage anyone who hasn't already got a copy to snap one up! This dress is also pretty special because it was the first thing I made on my brand new sewing machine - a grown up Janome! - which was a massive upgrade from the tiny half-size one I was making with previously. 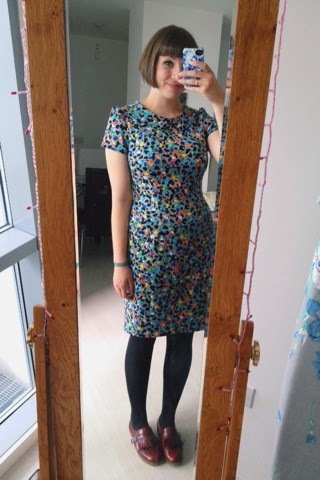 I used the jazzy John Lewis 'Modern Animal' fabric and drafted a collar for the Megan dress to make it a bit more 'me', and now it's my go-to dress. Day/work/night out, it get's thrown on whenever! 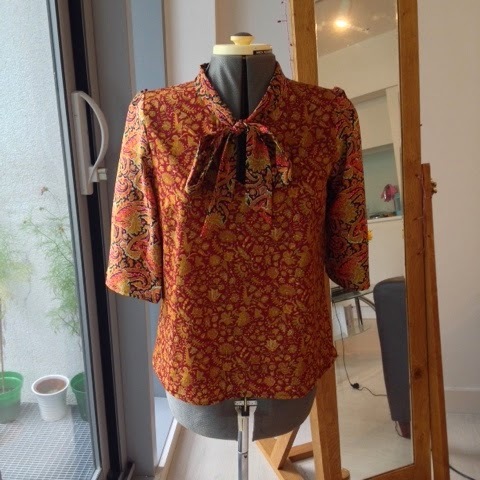 When I was writing this post I was looking over my blog and couldn't quite believe how much I'd made, but my most made pattern was easily the Simple Sew Lottie blouse. Since I got the pattern free in an early issue of Love Sewing magazine, I've made it up 5 times. 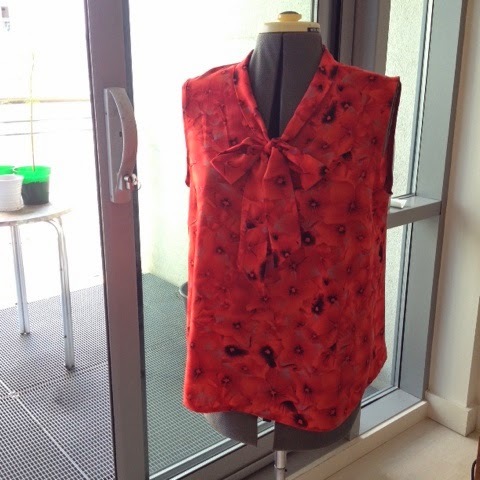 My first version was this sleeveless poppy print one. 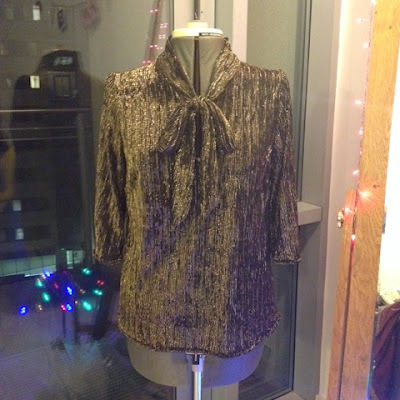 I found the instructions a bit on the sparse side, but really liked the finished blouse. With a bit of tweaking to the making process - and a lot of practice - I've just about mastered the Lottie and can put the whole thing together in an evening now! Here are the other versions - a couple for me and a couple were made as gifts for friends. 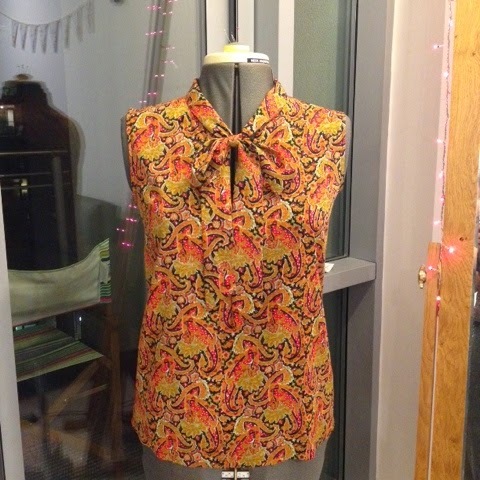 And my favourite so far is the newest one (above), made especially for the festive period (though I imagine it will get a lot more wear in the future if I can pass it off as my groovy 70s disco blouse). The fabric was £3 a metre from the brand new B&M Fabrics shop on the edge of Leeds Kirkgate market and I LOVE IT! I think I'm going to go with my self-drafted dress. It's been my biggest project so far - so big that I'm still tackling the final version, but it's well on it's way now! I drafted the pattern whilst taking evening classes at the local College of Art, and it's definitely taken more work, patience and brain power than anything I've ever made before. 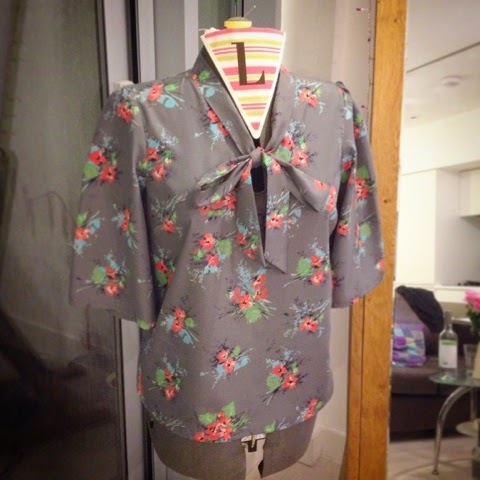 Keep sewing and keep blogging! 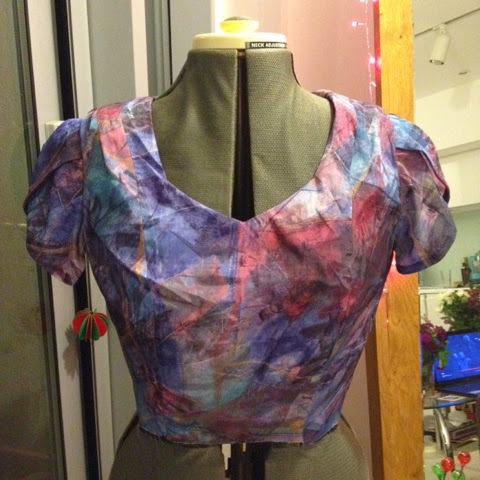 Here's to a great New Year full of sewing! Wow - I LOVE the bodice shape of your self-drafted dress! What an achievement!